Save a person’s life, do whatever you want to do with them afterwards. After an unseen fight with her partner, Michelle (Mary Elizabeth Winstead) decides she’s had enough and leaves her place, off to somewhere presumably to blow some steam off. Before she is able to do so, her car gets absolutely totaled in a collision, one in which Michelle should be dead from. Somehow, she survives, though waking to less than ideal situation in being chained to a location seemingly in the middle of nowhere, along with another captive, Emmett (John Gallagher, Jr.). She’s been saved by Howard (John Goodman), who tells her that the surface level is no longer safe due to some undetermined attack by military or even martians which has left the air unbreathable. It becomes clear quickly that Howard is a control freak, and off of his kilter. They have to get out of this underground bunker…but is the crazy man actually telling the truth? In our 21st century digital age where information travels so fast to everyone, it almost takes an act of God to be surprised with anything. Movies are no exception. How many times over the years have release dates been set in stone…for sequels in which the parent movie hasn’t even released yet? Or the trailer that reveals every single good aspect of a movie’s plot and action? A very, very slow clap should be given to 10 Cloverfield Lane. It has achieved what few movies have tried to do, springing up out of nowhere two months before release, and shrouding itself in secrecy with its hooking and mysterious trailers. It is also, and most importantly, a pretty good movie. To say a whole bunch about concrete story details should always be frowned upon in any review, but especially so for 10CL. It is best for the viewer to go in with as little knowledge as possible. It is also key to know that this is no carbon copy of 2008’s Cloverfield, and the link between the two is existent, but not clearly so; “Cloverfield” didn’t even need to be put in the title, it is that much different than its “predecessor.” The movie can be a little disappointing in the sense that 10CL brings up just as much questions as it does answers by the end of the runtime, but two movies into this series, its accepted that the how and why isn’t this series’ aim. It’s the what that is. The what in 10 Cloverfield Lane is directed by Dan Trachtenburg. In his first feature film, Tractenburg has delivered with a methodical, slow burn (term has been used ad nauseam with this, but it is applicable) of a thriller. Perhaps a tad too slow in a small stretch during the second half, but it remains gripping mostly for the whole time. Definitely much more claustrophobic and uneasy than yours truly ever imagined, and there’s a point in the film where the final shot of the trailer occurs midway through the runtime. I bring this up to highlight the fact that I had no idea of where 10CL was headed, and as such, the tension remains throughout. Even with a great directorial effort, there’s a version of 10 Cloverfield Lane that exists in an alternate reality that is subpar because the casting wasn’t up to snuff. Not to discredit Trachtenburg who does a lot of good, but this movie belongs to its cast, sans Bradley Cooper, but at least his voice sounded good. 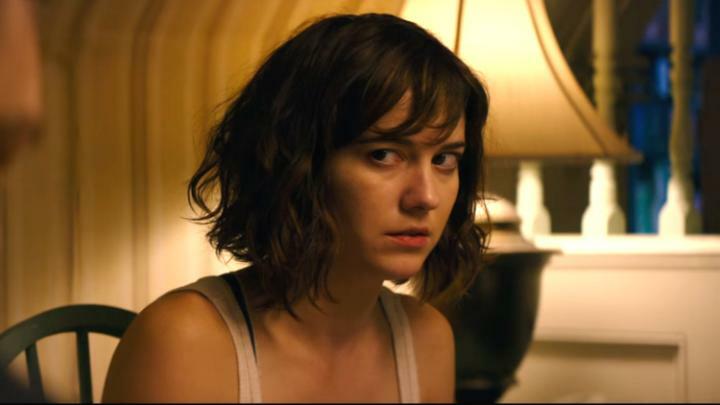 Mary Elizabeth Winstead is a great heroine and shows off a lot of strength. She’s not overly in your face, or even all that talkative, but she has strong screen presence and is truly mesmerizing. 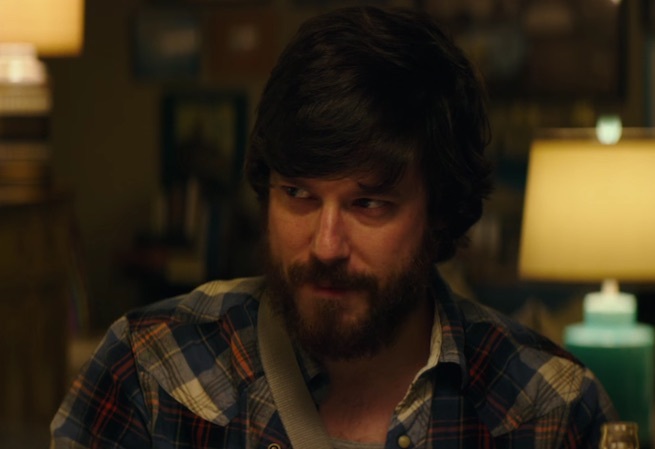 John Gallagher, Jr. has nice chemistry with Winstead and does a nice job at keeping things light when needed. The undisputed star of the show is John Goodman, however. Goodman provides menace, dry humor, and even towering physicality into the Howard character, and shifts along the spectrum of audience perception so effortlessly. He’s undeniably off, but maybe he has a reason to be? In a most basic sense, he’s just a blast to watch. Hailed as the spiritual successor to Cloverfield, 10 Cloverfield Lane succeeds that film in nearly every aspect, to the point where it is almost a shame to have that in its title, if only because it implies things fairly or unfairly. Little desire to return back to this address again, but boy, it is worth one-time visit. Photo credits go to screenrant.com, telegraph.co.uk, and comicbook.com. Good review and thanks for not giving away too much of the story. 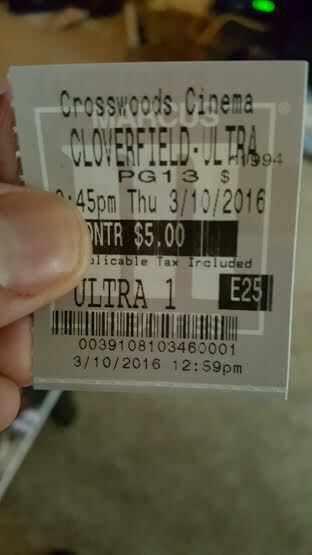 I thought the original Cloverfield was okay, but wasn’t asking for a sequel. But I’m curious where the story goes in this offshoot or spiritual successor. The name Dan Trachtenburg sounded familiar and then I remembered him from watching his reviews on Totally Rad Show .. very cool. Oh yeah…super cool that a YouTuber is Hollywood major now! This one is miles better, and I didn’t hate the first. With both though, I think they both lose something on the second watches. These rely so much on mystery, but this one may have more rewatch power because of the better acting. Good review! I truly liked this film a lot. Loved the scare etc.. and thank goodness you didn’t reveal all as I noted in mine..”And any reviewer that gives away the spoilers or the full story of this one, I wish them years of paper cuts because this is one to be experienced, not told about. ” hahahhaha but it’s so true on this one.. it’s not for spoilers and I read someone’s review who did, thankfully AFTER I saw the film..cuz I’da been pissed otherwise. Yes! Reading it again, I think I may edit even a bit more, but the “job” we have giving our opinions on films is assessing that film. We’re not giving a film report. I’ll be honest, I didn’t love it right away after viewing, but the more I thought about it, the more I came to appreciate it. MUCH better than the 2008 movie. 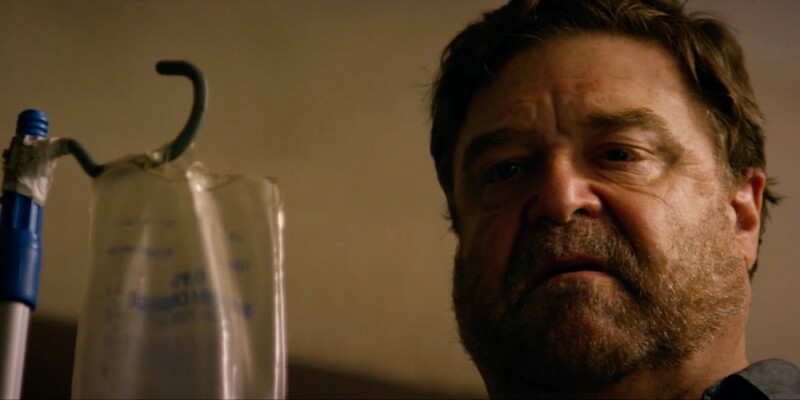 John Goodman was just awesome in this movie. Short and sweet comment man. He’s worth the price of admission in this. Thanks man! Nothing like the 2008 movie, I say it is even a disservice that this has the Cloverfield name in it. I say give it a watch. Really enjoyed this one. Such a well done psychological thriller, and the cast was terrific as you said. Had a blast. The cast will be the reason I return to this. The mystery of the story will not hold, but the work of the cast will. Yeah the “Cloverfield” in the title is distracting because it implies a sequel. This isn’t. An enjoyable thriller that is entertaining completely on its own terms. I really enjoyed this too. You have to think this was done as an attempt to make more money, no? Especially if what is to believed is correct, that the movie was originally just a separate thriller from Cloverfield that got “reworked” into being tied with Cloverfield. I guess it kind of did work. For as great as this movie is, I don’t see it doing the box office numbers that it did without having the name recognition in the title.